Beautiful house with authentic atmosphere at wine estate on mountain. This beautiful property is located in a wine region. Stay in one of the country houses which are located in a wing of the manoir. The house was originally built as a hunting lodge for the famous Medici family who built here many large villa 's in the immediate area and from where tthey used to go out hunting. Centuries back, the grandmother of Leonardo da Vinci lived on the estate. You come in from the terrace stairs and enter the kitchen. upon entering you will be immediately overtaken by the authentic atmosphere. the Tuscan tiles combined with simple furniture and fireplace make history revive. The house is tastefully furnished with old furniture dating from the time of the former inhabitants and includes a fireplace and a wood stove in the kitchen. In front of the house you can sit out on the terrace and private lawn. Of course you can also go and find your spot around the shared pool which is at a 100m from the house. 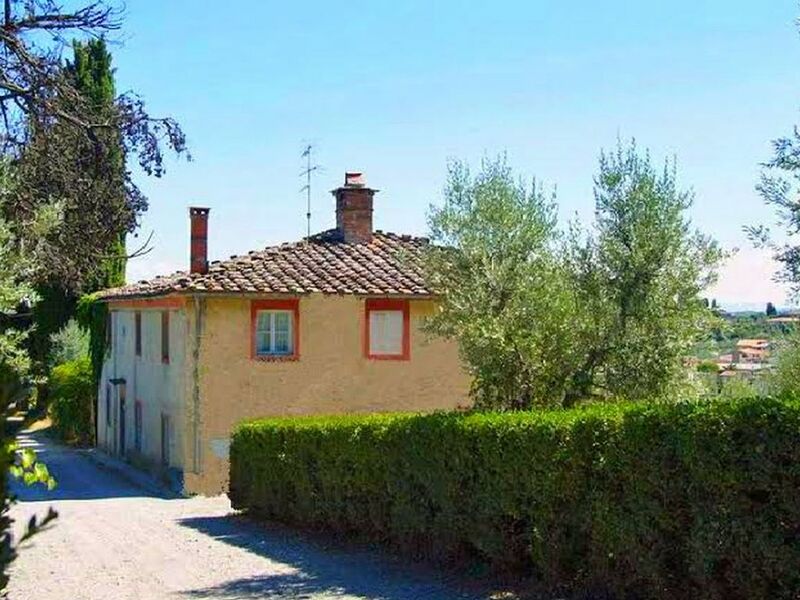 The lovely property resides in the middle of nature at only a short distance to several famous villages.